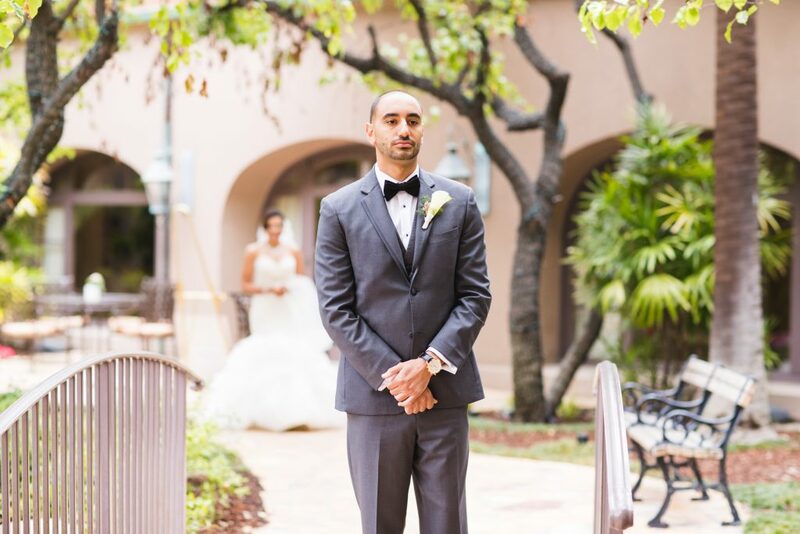 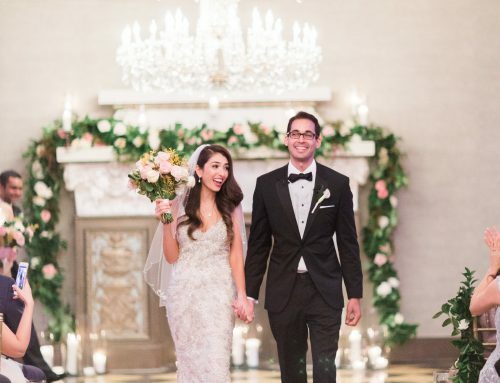 One day, two ceremonies, and three outfit changes later, Ashley & Joseph were married. 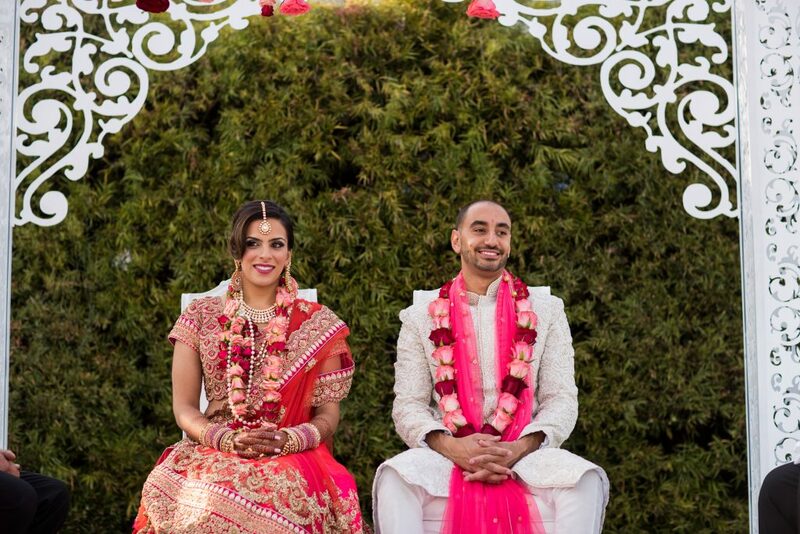 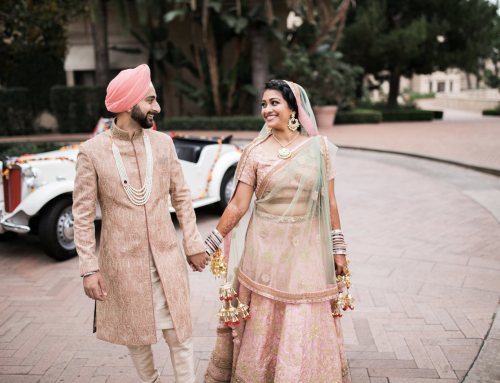 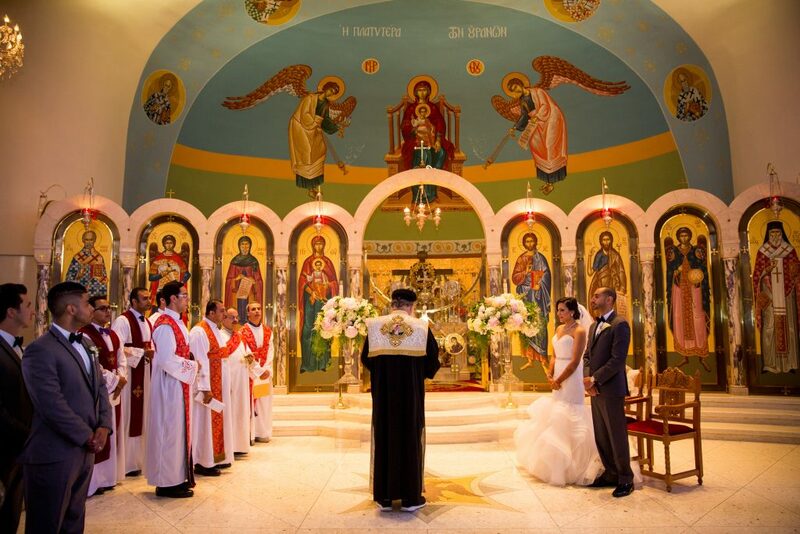 While she is Hindu and he, an Egyptian Coptic Christian, it was a priority for our couple to each honor their sacred traditions, yet celebrate in a contemporary, whimsical style. 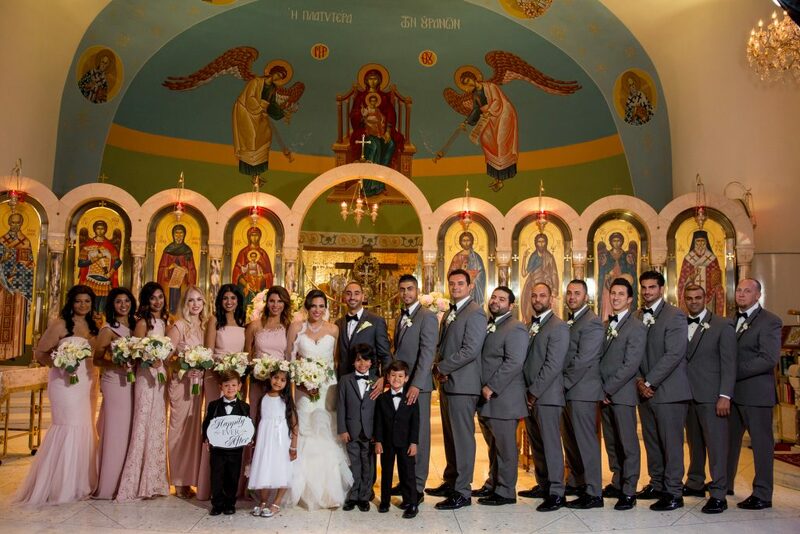 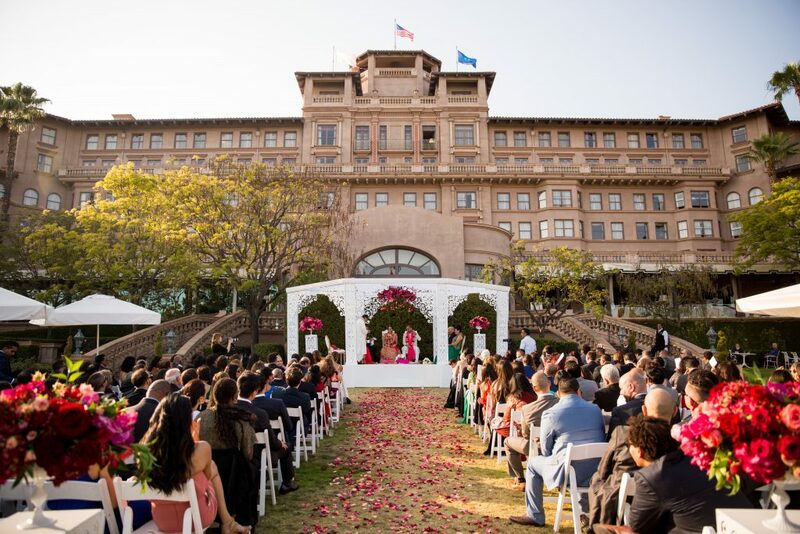 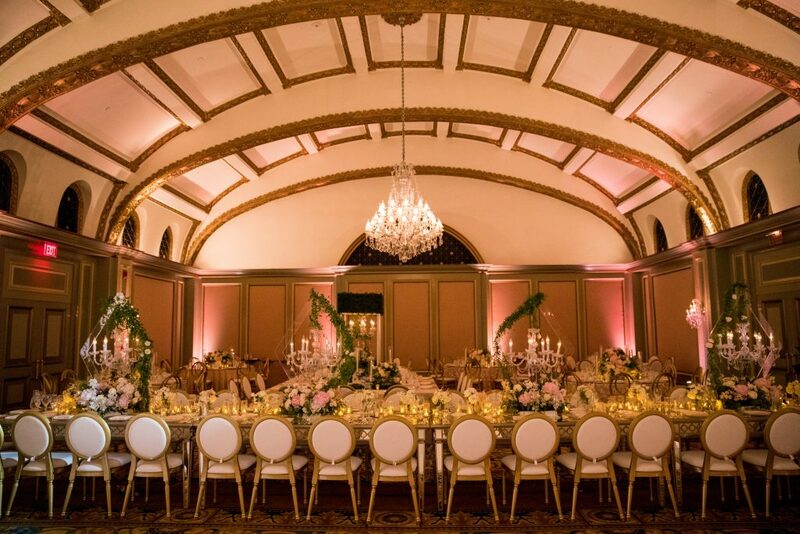 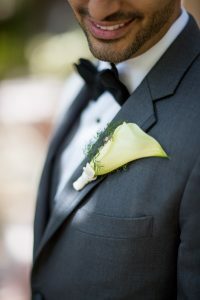 The luxurious affair began with their first look at the Langham Huntington, Pasadena Hotel, followed by a trip to St. Anthony’s Greek Orthodox Church for the beautiful Coptic ceremony. 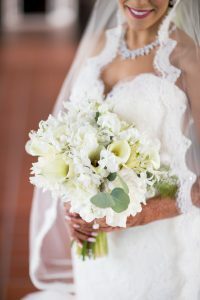 Unlike what most guests were accustomed to, there was no music during this service, other than during the processional when the priest’s assistants entered singing before the bride. 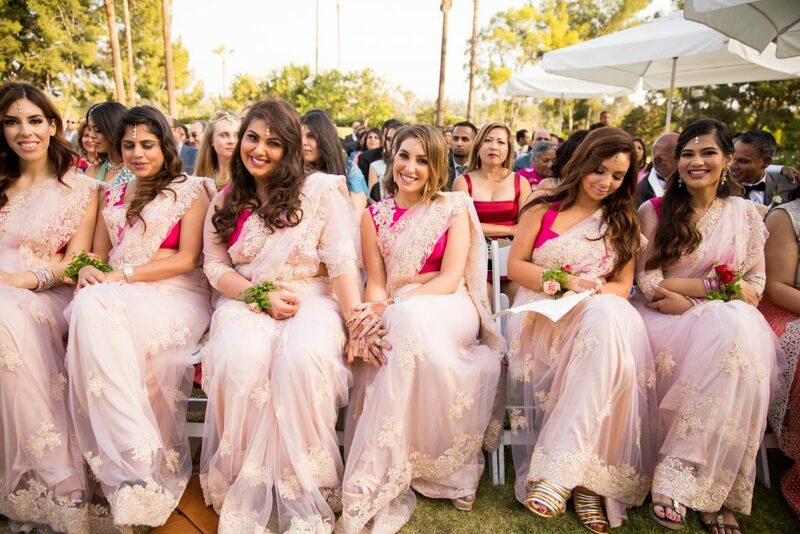 There was also one set of bridesmaids for the Coptic ceremony and another bridal party for the Hindu service with only the bride’s sister as Maid of Honor involved in both services. 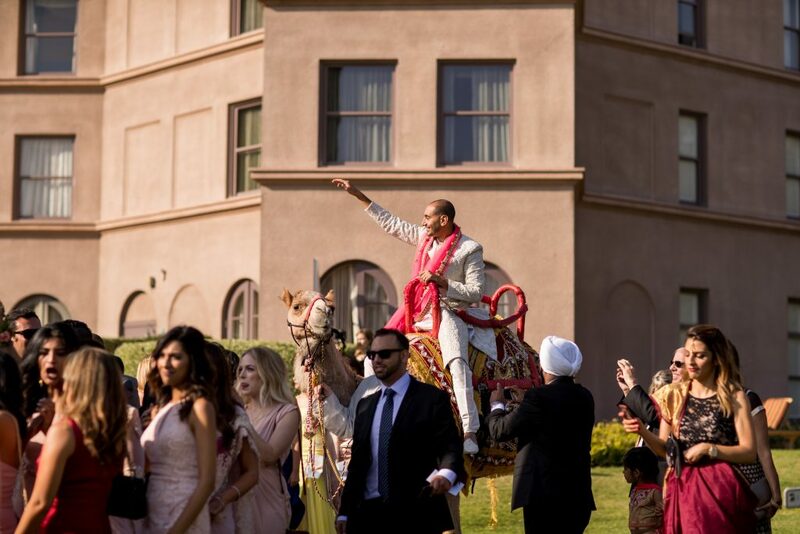 After the first ceremony, guests enjoyed a break at the hotel with drinks and special appetizers prior to the Barat. 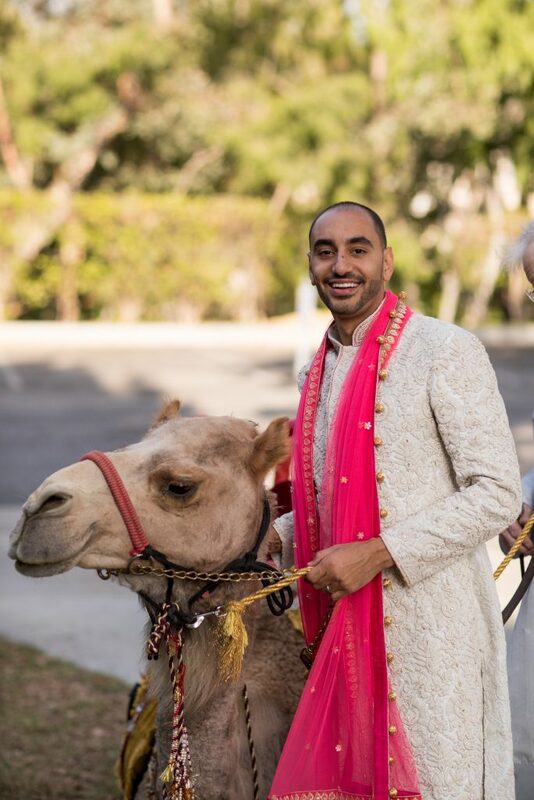 Joseph made his grand entrance on a CAMEL, a nod to his Egyptian heritage, in a festive jubilee and was received lovingly by the bride’s family, who escorted him across the lawn to the mandap for the Hindu ceremony. 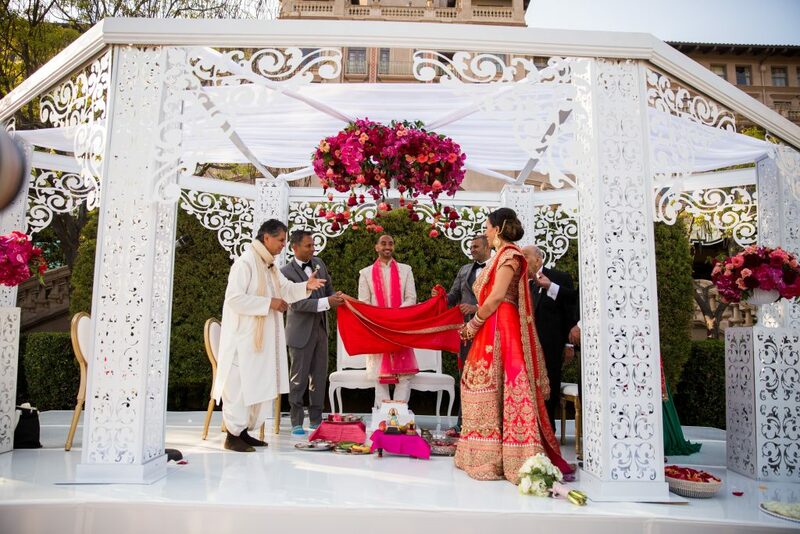 The white, lattice-styled mandap was a vision of modern design, embellished by a hanging floral chandelier in shades of red, pinks and magenta. 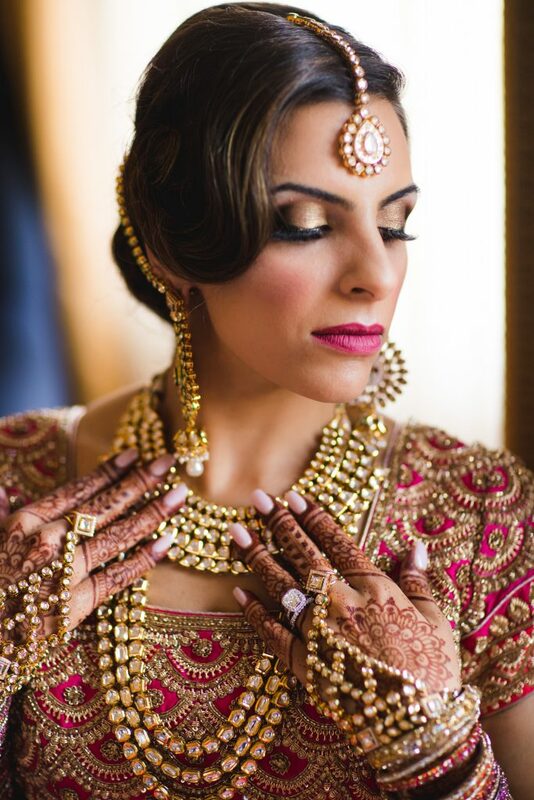 Ashley’s traditional dress stunned in a deep red and gold, popping in contrast to the stark white structure. 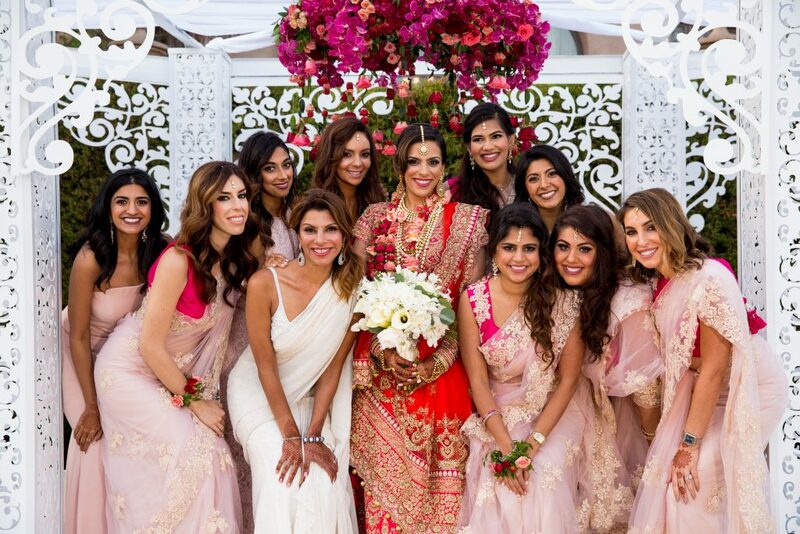 The bridesmaids were truly trending #bridalpartygoals in fashionable hot pink saris, draped in blush lace. 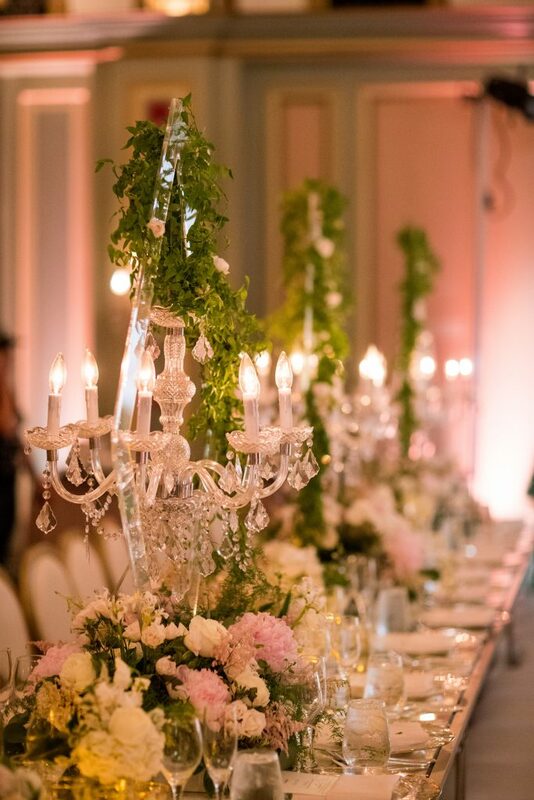 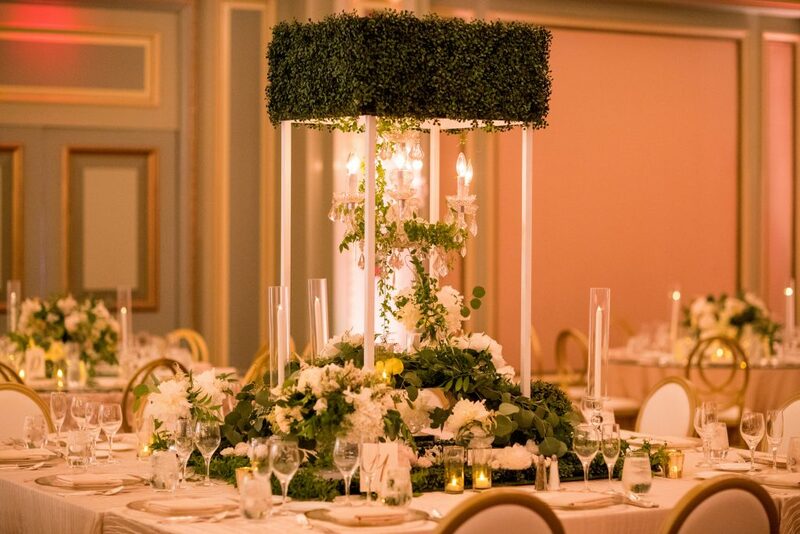 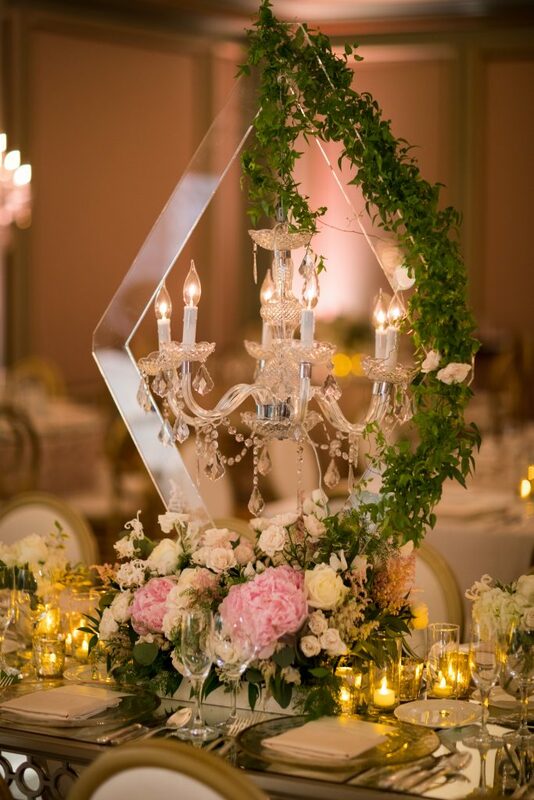 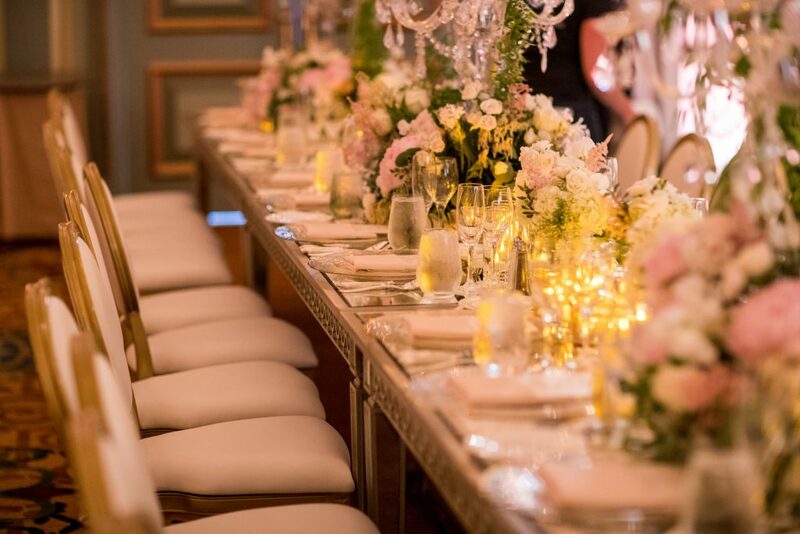 Guest dined indoors in a stunning scene of whimsy with a combination of long, square, and hollow tabletops each blending topiary designs and suspended floral chandeliers by Shawna Yamamoto Floral Design. 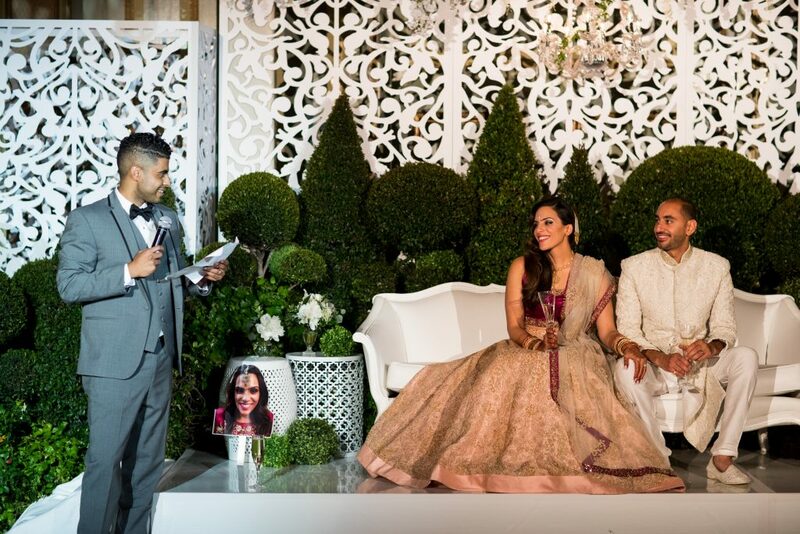 The customize stage had stylized cutouts and an intricately formed greenery backdrop, paired with clear glass and acrylic detailing — all departures from traditional Indian styling. 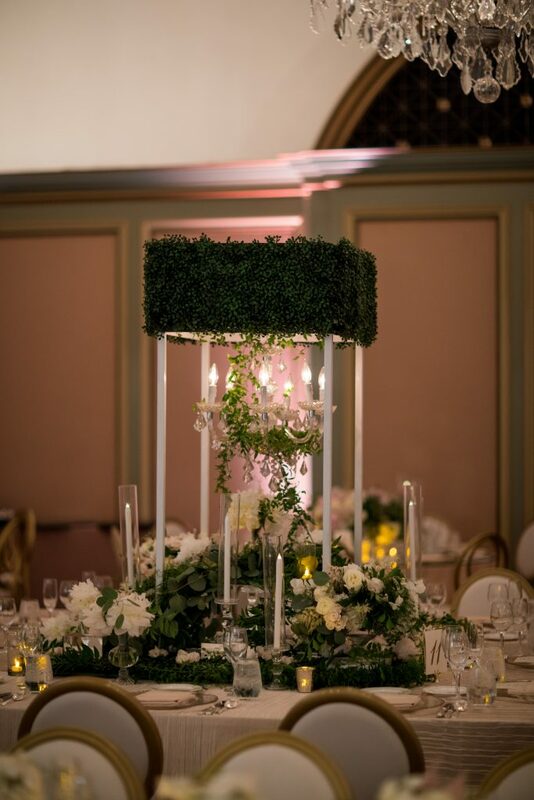 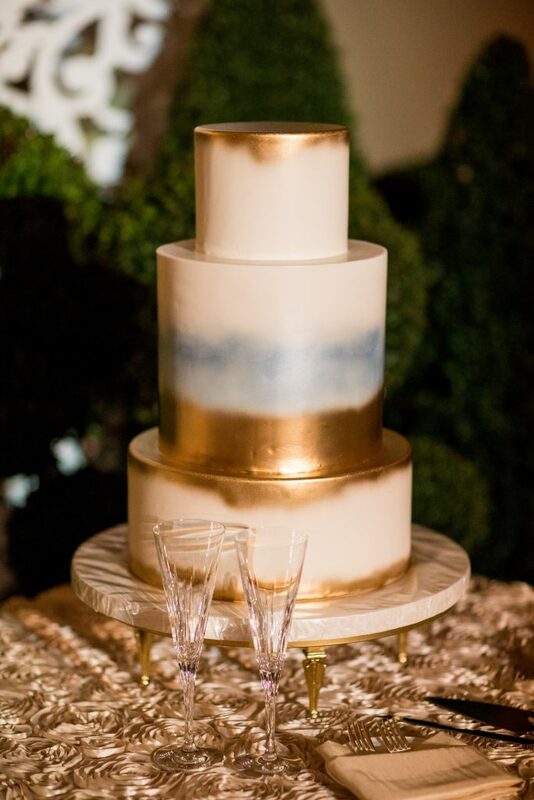 The atmosphere came together beautifully, making one fresh and fabulous wedding design for Ashley & Joseph! 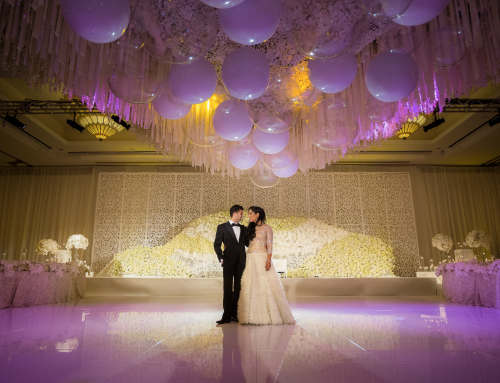 Reception Musician: DK Kucha Corp.